On dairy calf-to-beef farms, there are many things to consider when it comes to feeding calves to ensure the best start in life and to reduce the threat of disease down the road. Co. Kilkenny father-and-son duo – Thomas and Peter O’Hanrahan – are participants in the Teagasc Green Acres Calf-to-Beef Programme and plan to rear 180 Friesian, Hereford, Aberdeen Angus and Limousin-cross calves from the dairy herd in 2019. “It will cut down on labour, but it won’t rear the calves for you. However, it’s great at identifying sick calves,” he added. The dairy farms from which Peter sources his calves feed whole milk. 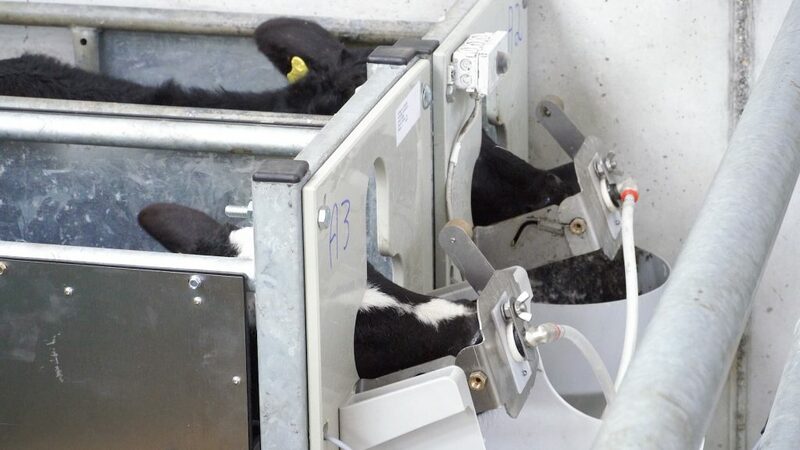 Therefore, they are transitioned to milk replacer, which is gradually increased to 6L/day. They are fed 6L/day for 35 days and, from there, they are weaned over the next 18-20 days once they are eating at least 1kg of flaked maize and calf pencils. All going well, calves will be let out to grass after weaning. 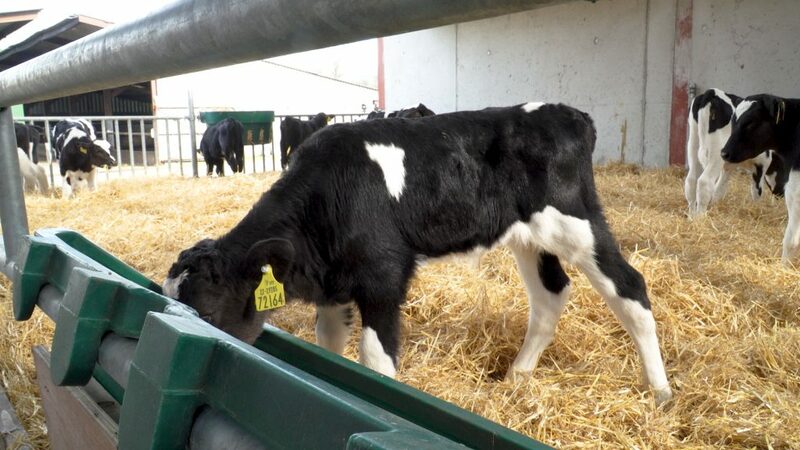 In the video below, Volac calf rearing specialist Liam Gannon highlights the important factors to consider when it comes to feeding calves on arrival, during the 10-12 weeks and during the weaning process. Liam also outlines what to look out for in a milk replacer and the level of feeding required. “The first and most important thing is getting those calves onto the farm and the main thing is not over doing the level of feeding. 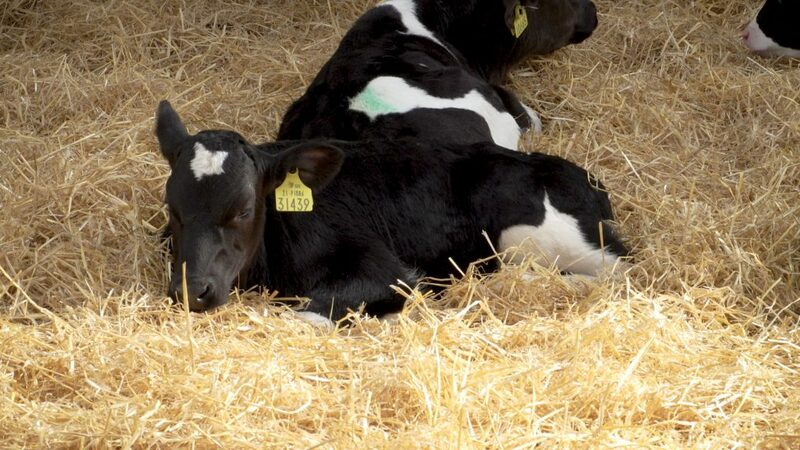 “For the calves that have travelled a long distance, what is more important is the re-hydration of those calves and giving those calves a chance to settle down and get over the stress factor of a long journey. “If they are coming directly from local dairy farmers, you will have a certain amount of mixing, but on top of that you may have calves that have been fed high volumes of whole milk and they are going to be adjusting to a different type of diet. “So, it is very important to let things settle down and – if it is a long distance – give them some form of electrolytes,” he added. Continuing, he said: “Depending on whether they are going to be 10-12 days old or whether they are going to be three weeks, some calves could be on different feeding systems. 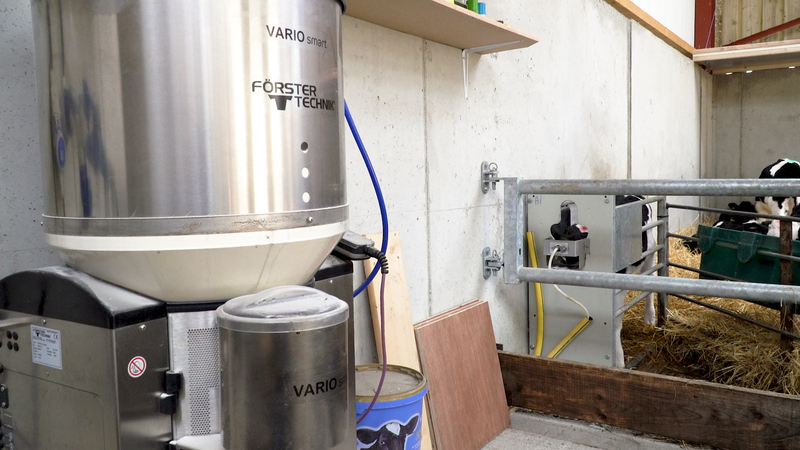 “Some could be on bucket teat systems or ad-lib systems, while some could be getting whole milk and some getting waste milk; there can be a big variation. It is vital to provide the calf with sufficient energy and protein to support and maintain their normal bodily functions. When feeding a replacer, it’s important to give serious consideration to the product that lies within the bag. 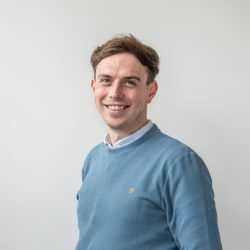 Liam said: “In terms of what makes up a good milk replacer, the more milk ingredients that are contained in that milk replacer and how digestible it is is important. 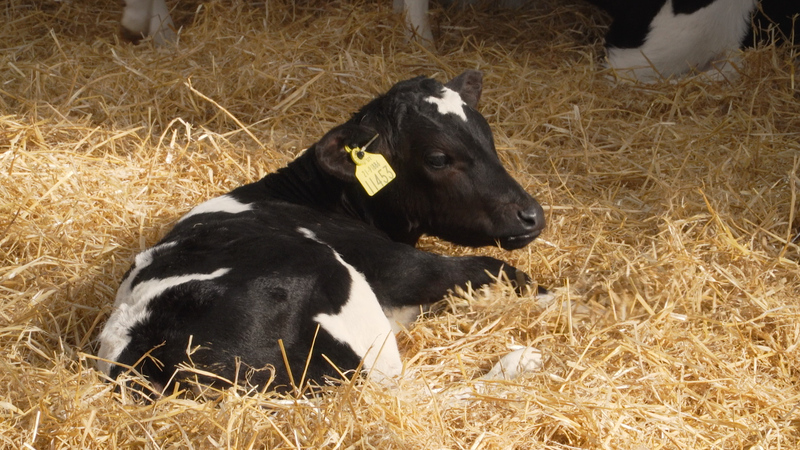 “A young calf – under four weeks-of-age doesn’t have any great rumen activity, so the more milk products that are in the milk replacer, the better for the young calf. “The ingredients must be digestible – something with 50-55% skim or something that would be a whey protein concentrated-type product; something that is highly digestible and is going to add muscle and frame on the calf. “The product shouldn’t be denatured during the drying process, you’re looking for something that has a low ash content – below 7.5% ash and has a low fibre content and this would indicate that there is not a lot of vegetable protein in it,” he explained. He also stressed that adequate levels of vitamin A and D are important in terms of growth and immunity. What is the mixing rate? Replacer is generally fed at 125g of powder to 875ml of water, which gives a solids content of 12.5% to the ‘mixed’ milk. 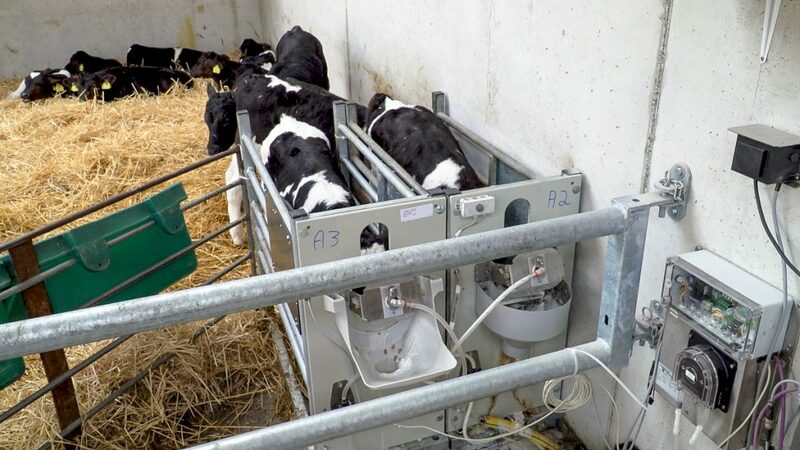 With this mixing rate in mind, a farmer feeding his/her calves 6L per day – under a twice-a-day (TAD) feeding system – needs to mix 5,250ml of water with 750g of powder. 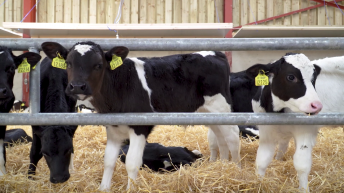 “The calf will at least require 3L of what milk they get during the day just purely for maintenance – to stay warm and protect their immune systems; so you don’t end up with calves coming under disease pressure. “After that, the rest is available for live weight gain (LWG),” Liam explained. 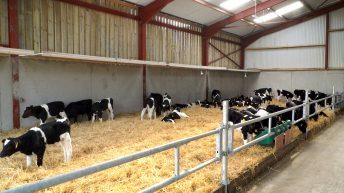 Commenting on the weaning process, he said: “Calves will be in the region of 50kg coming on farm, so if we are feeding 3L morning and evening, we are trying to hit 0.8kg/day average daily gain (ADG) over the first 10 weeks of the calf’s life – this generally happens at week five or six. “If we do get a cold snap of weather, we do have to up our feeding rates to try and keep our target at 0.8kg/day ADG. “If you’re talking about gradually reducing your volumes – if you are on a TAD bucket system – from the 3L morning and evening back down to 2L and the meal intake will start to increase. “So, you will be weaning either for weight where you would expect to be in the region of 85-90kg after the 10-week period. 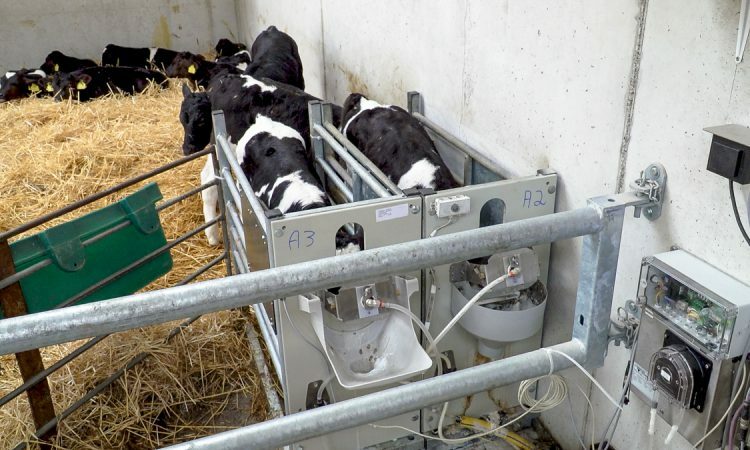 “Or, we will be weaning for age at 10 weeks itself or we will be weaning when the calves are eating more than 1kg of concentrate; they are the three key factors we are looking for,” he concluded.